Ay yi yi! Grab a marg and enjoy these fish tacos! 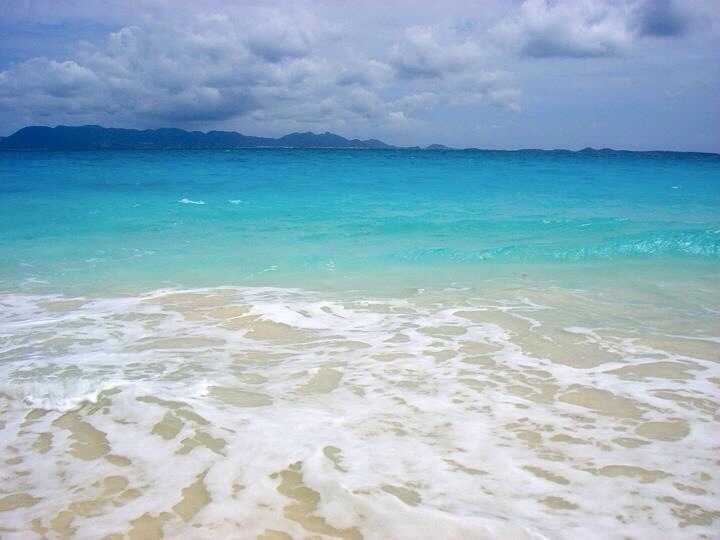 My husband and I honeymooned on the beautiful Caribbean island of Anguilla. While there we had a phenomenal fish sandwich at a beach bar called Gwen’s Reggae bar. The fish had a spicy but sweet flavor that until now I couldn’t put my finger on it! I had my ah-ha moment and realized it was a cumin and cinnamon mixture! I incorporated these flavors for a light summer dish of fish tacos. Enjoy ya’ll!! Preheat Oven to 400 degrees. Spray pan with non-stick spray. If skin on fish present place skin pan side down. Add spices to fish et rub into meat. Bake 15-20 minutes until fish is white and flaky. Once fish is done remove skin and use fork to break apart fish into smaller pieces. 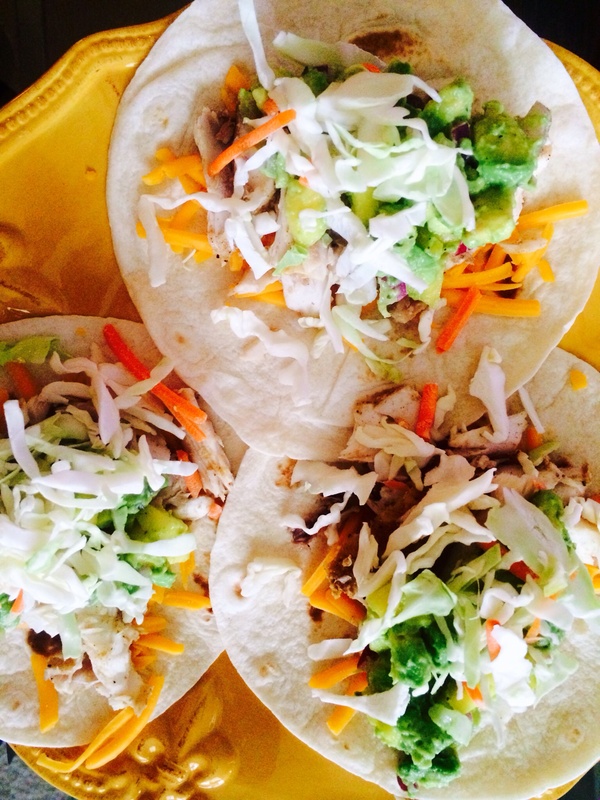 To make tacos, lay tortilla down and layer cheese, fish, and cabbage. Top with Avocado-Mango salsa and sour cream if you wish! Combine all ingredients and serve chilled!